Today we are 33 days away from Force Friday and the toy of the day are a pair of droids that prove that Star Wars is for all ages. 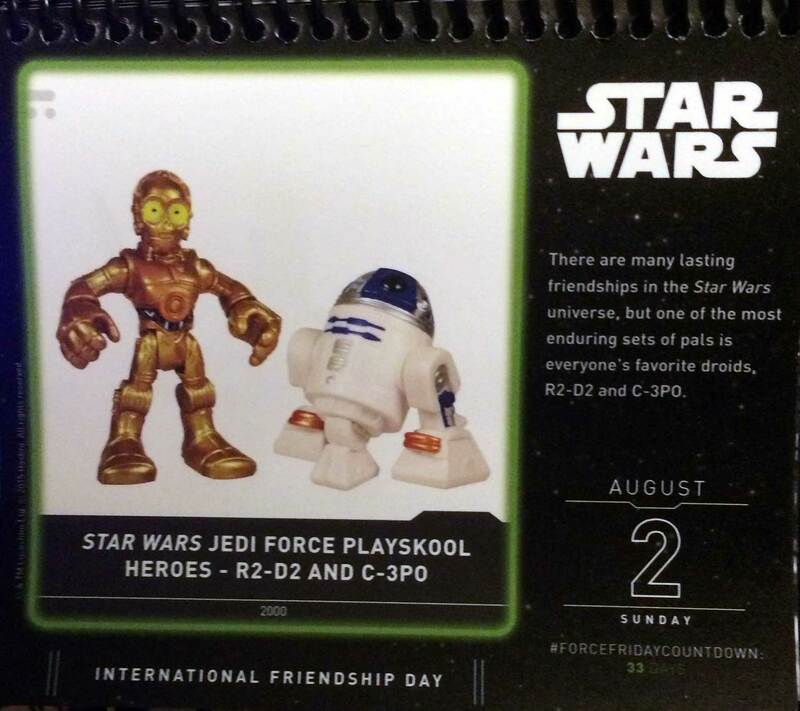 These Playschool versions of R2 and 3PO are here to help celebrate ‘International Friendship Day’ so do yourself a favor today and call up one or more of your friends and tell them you love them as much or even more than Star Wars. not to mention if droids could love they would be a couple too.